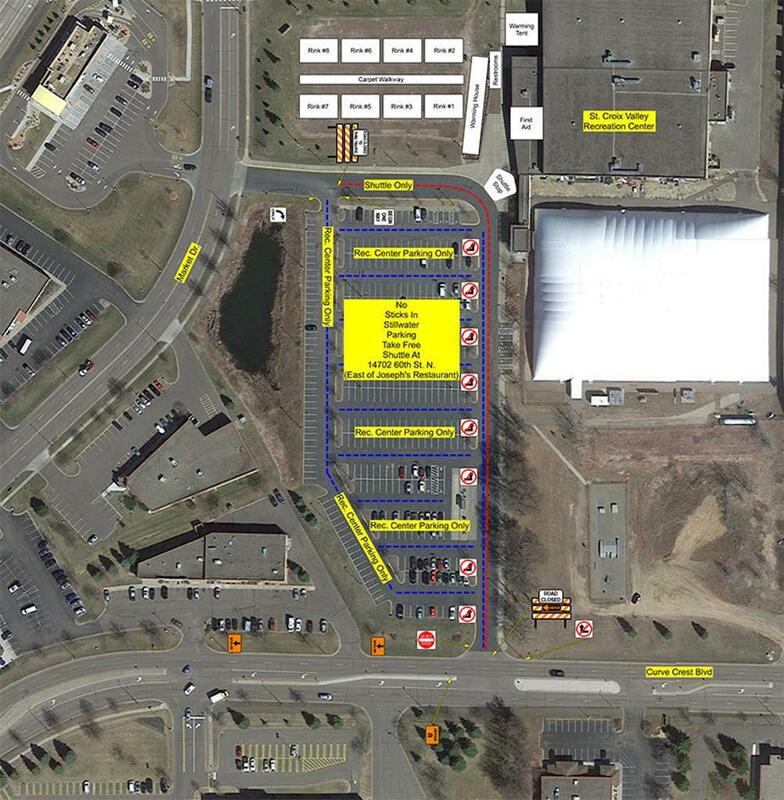 There will be no event parking at the St. Croix Recreation Center during Sticks in Stillwater. Complimentary parking and shuttle service is provided. Please park: in the lot east of Joseph's Restaurant 14608 60th St N Stillwater. (lot is provided by Dodge Fury Motors) Shuttle service will be running continuously throughout the event. The eight rinks will be built on the north end of the St. Croix Recreation Center parking lot. See the map below for event layout.